Late Nights at Live! Friday and Saturday nights at 10pm in September. 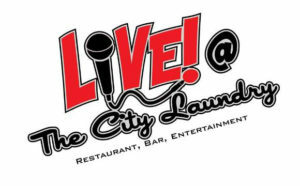 Live @ The City Laundry features late night Karaoke Fridays and Dance party Saturdays. No cover charge! Wednesdays in September Pub Trivia with Austin Vaquilar at 7pm. Come and test your Trivia skills for an opportunity to win great prizes and have fun with friends! Join in the trivia tournament or find a nice cozy corner for a friendly game of Chess or Backgammon! Or bring the whole family to check out our selection of board games. It’s all about bringing people together! The kitchen at Live will be cooking up some great compliments for an evening of fun. Singer John Van Dyke will host a jazz jam session featuring some of our areas finest players. The band will be swinging the blues and standards. Musicians who wish to participate are encouraged to contact us so we can put you on the guest list. Tickets $10. 7th at 6:30pm: Smooth Jazz with David Robinson. Saxophonist David Robinson plays smooth jazz from the Great American Songbook. No cover charge. 14th and 28th at 6:30pm: Vintage Thursday with Alisa Mike. Popular local singer Alisa Mike serenades us with jazz standards from the Great American Songbook. Vintage nights with Alisa are a wonderful trip back through time. Table reservations are recommended. No cover charge. 8th at 7:30pm: Casablanca World Music. The sound of Casablanca is an exotic mix, as if gypsy jazz musicians from Paris were joined by local Moroccan players. Tom Spellman is Casablanca’s guitarist, playing both nylon-stringed classical guitar and steel string guitar. Glenn Druhot plays drum set, djembe, bongos and other percussion instruments. Simon Spalding plays violin, guitar and oud, the fretless lute of the Orient. All three members of Casablanca are instructors in the teaching studio of Fuller’s Music House in New Bern. $7 cover. 9th at 8pm: Pete Pawsey. A devotee of Tom Waits and Randy Newman amongst many others, Pete Pawsey explores the – sometimes fractious – defining moments of human interaction with humor and honesty. Deeply immersed in the music of the Piedmont, Pete has served both the NC Songwriters’ Co-op, and Carrboro’s WCOM FM Radio station, and as director of Hillsborough, NC’s Lilac Lounge musical gathering. 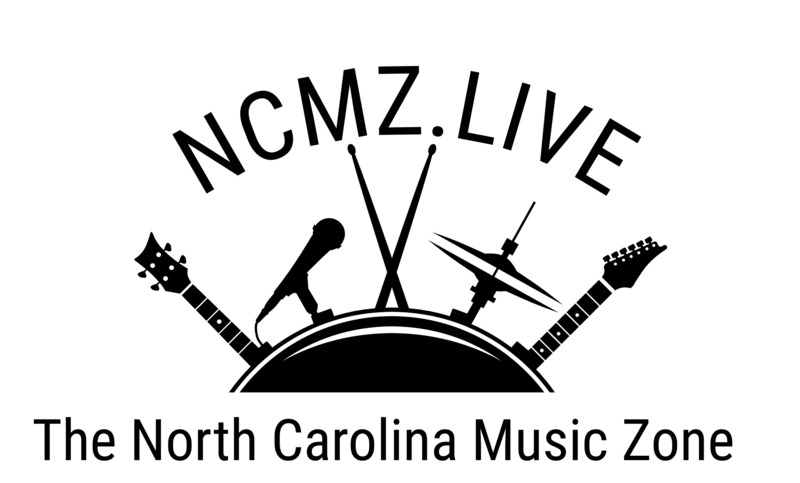 Pete hosts the longest-running all-originals open-mic in the Triangle at Chapel Hill’s historic Cave, as well as fronting blues-soul ensemble Radar’s Clowns of Sedation, and ska octet The Spectacles.” $7 cover. 15th: Lip Sync Battles. Grab the mic and own the stage during our Lip Sync Battle. 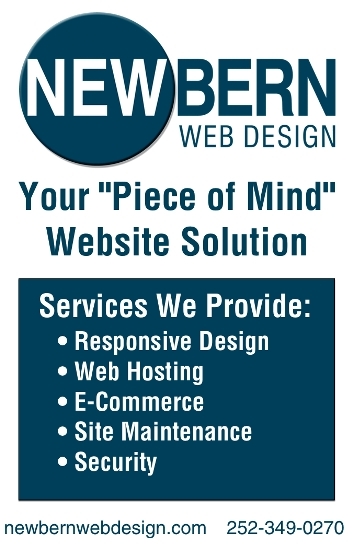 You can do it on your own or bring your backups! Sign up and choose your song at 9pm – show starts at 10pm. Winners will receive free stuff from the kitchen and the bar plus an entry into our Grand Lip Sync finals which will include costumes and props! Finalists will compete for cash prizes! Winners are decided by audience response so bring your fans! No cover charge. 16th at 8pm: Jordan Amburn and Friends “Dreamer”. Singer, Actor Jordan Amburn presents a musical journey through the personal milestones of his theatrical career and a look at every Actor’s dreams for the future. Featuring accompanist Tim Maddox and guest appearances from some our finest local Theatre voices. Tickets $15. 21st at 7pm: Coffee House Thursdays with Patrick Bliss. Local singer guitarist Patrick Bliss takes the stage for an evening of acoustic blues folk pop and Americana. No cover charge. 22nd at 8pm: Ellis Dyson & the Shambles. GEM Productions is proud to present the heavily anticipated return of Ellis Dyson & the Shambles! Ellis Dyson & the Shambles expertly blends old-time influences to bring the Whiskey-soaked, foot-stompin’ party music of departed eras to audiences young and old. Ellis Dyson & the Shambles consists of Ellis Dyson (banjo, vocals), Nathan Huvard (acoustic guitar), Jonathan Ng (fiddle), Adam Maloney (upright bass) Danny Abrams (soprano/alto/baritone saxophones, vocals), and Matt Hall (trumpet, vocals). Tickets $7. 23rd at 9pm: Madame Z’s Monthly Pride Show. Madame Z is at it again with her talented divas of drag to present an evening you’ll never forget. Every month Live @ The City laundry hosts New Bern Pride. The crowd is diverse and fun loving. The dance floor is always full. The party goes into the wee hours so come early or late just be there! Everyone is welcome. $8 Cover. 29th at 8pm: Standup Comedy Featuring Matt White and Friends. Stand up comedian Matt White will host a comedy showcase featuring some of the most hilarious comics in Eastern Carolina. Tickets $8. For more information, call 252-876-7007 or visit The City Laundry at 901 Pollock St.